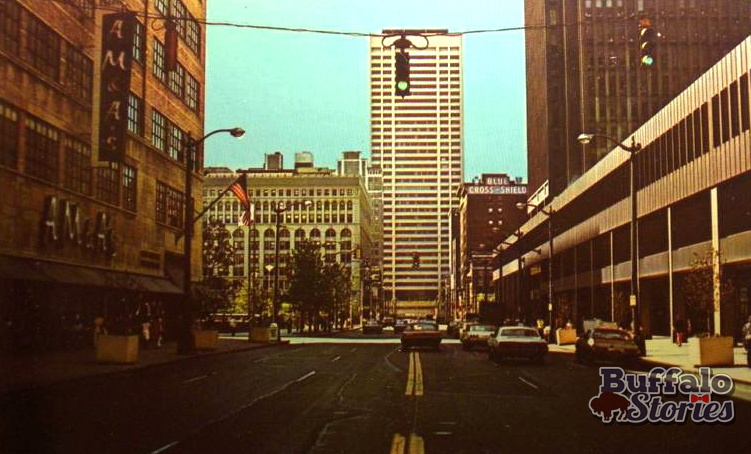 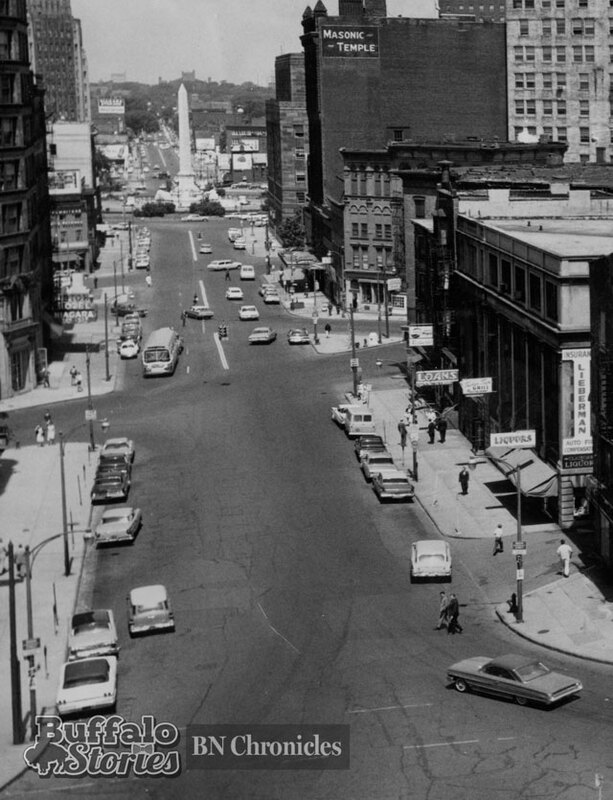 This week, we’re looking back at the glory days of shopping on Main Street downtown, and we begin with the giant: AM&A’s. 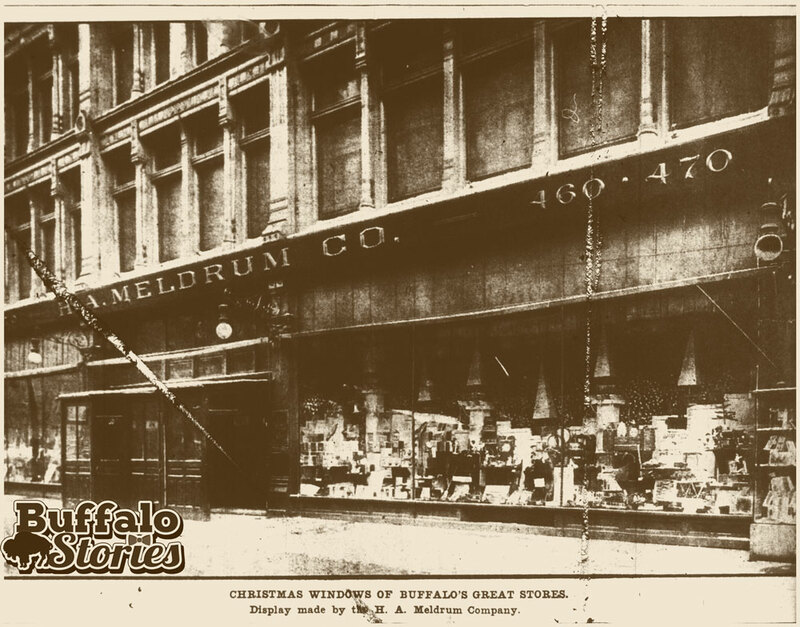 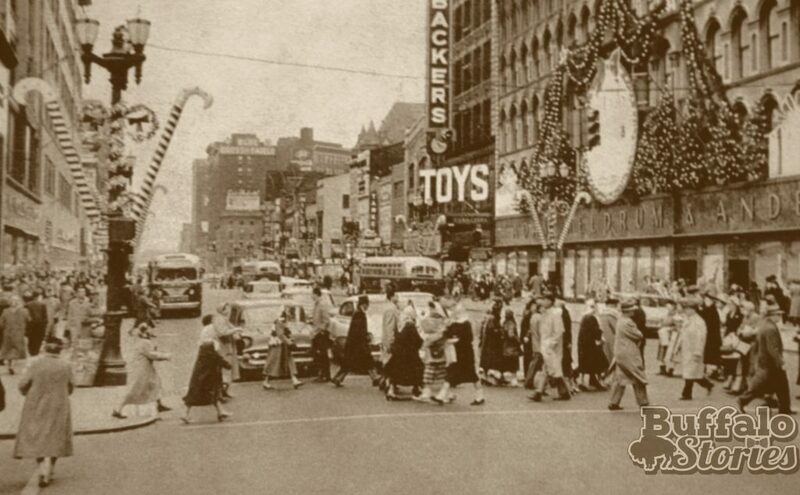 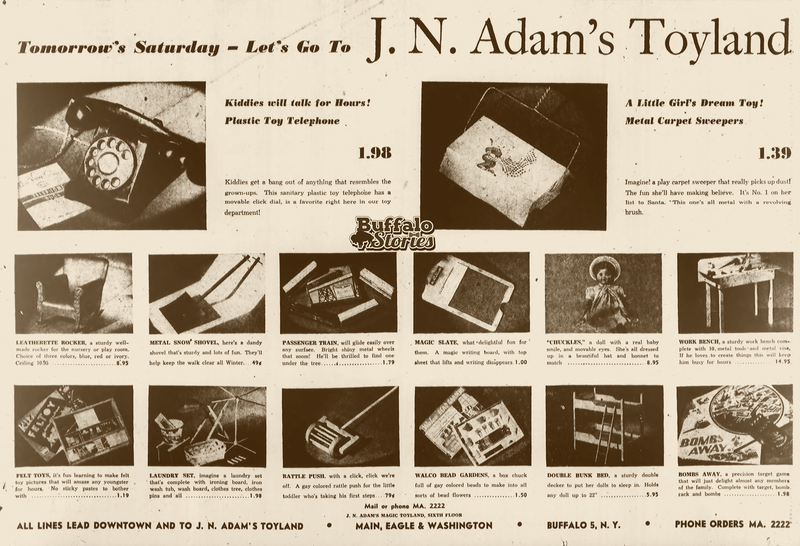 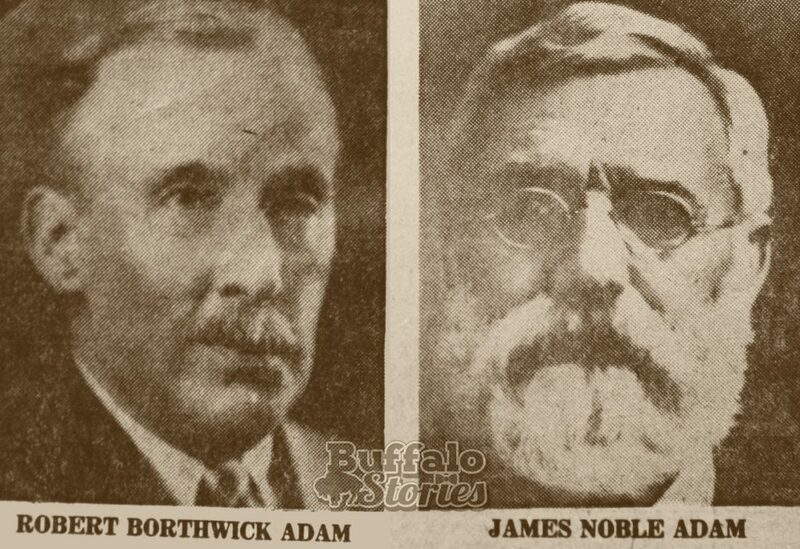 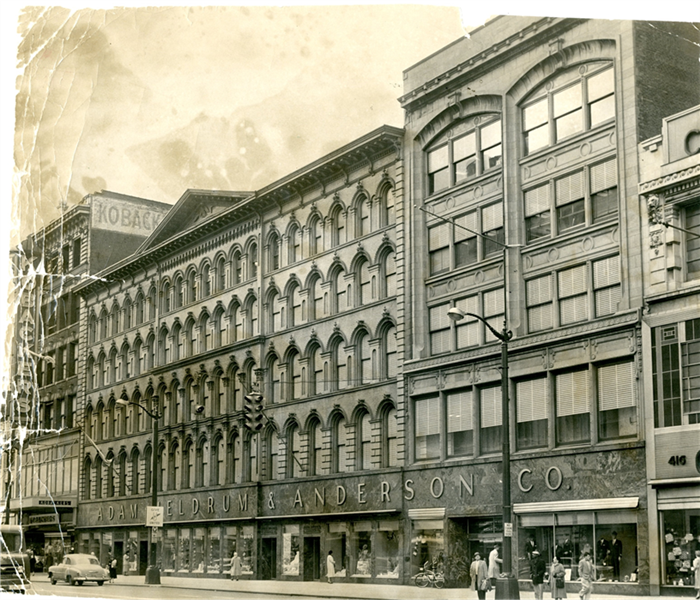 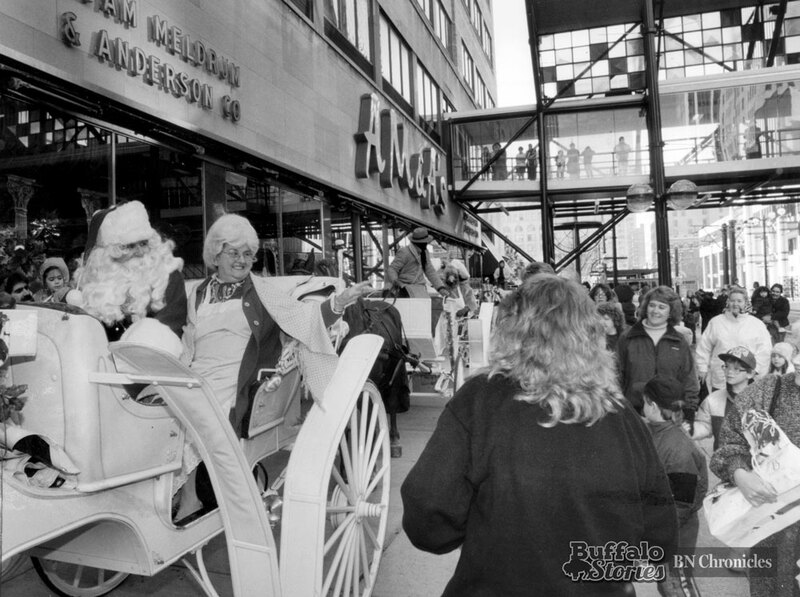 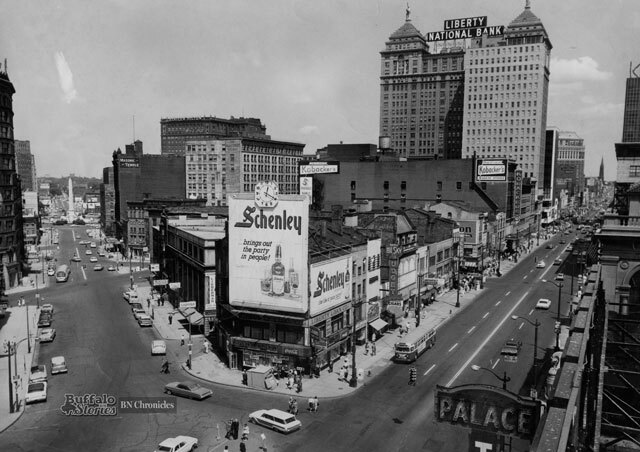 Adam, Meldrum & Anderson was Buffalo’s largest and most popular department store for 127 years. 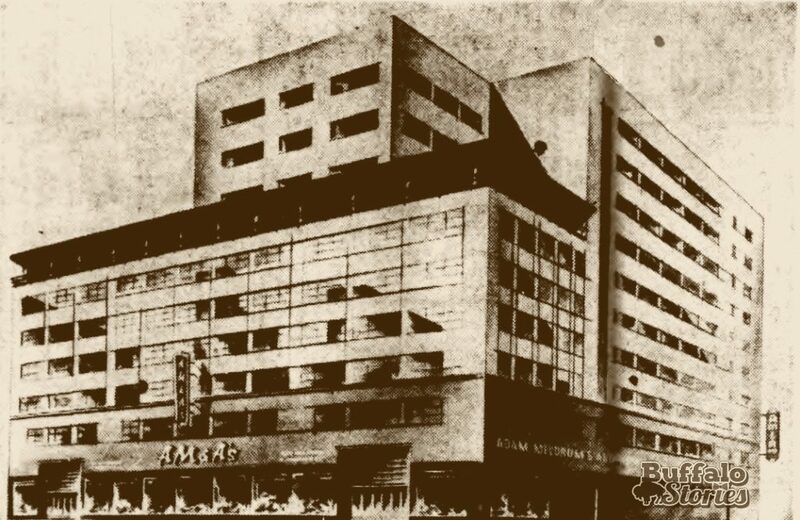 AM&A’s, The Main Place Mall, and The Marine Midland Tower. 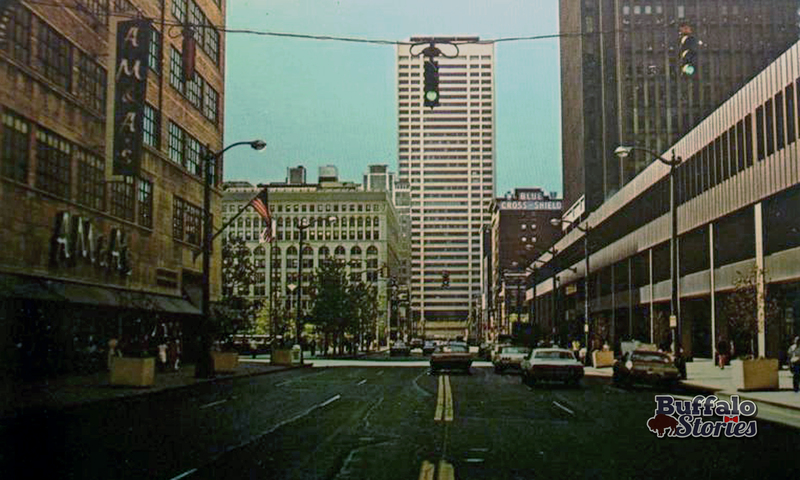 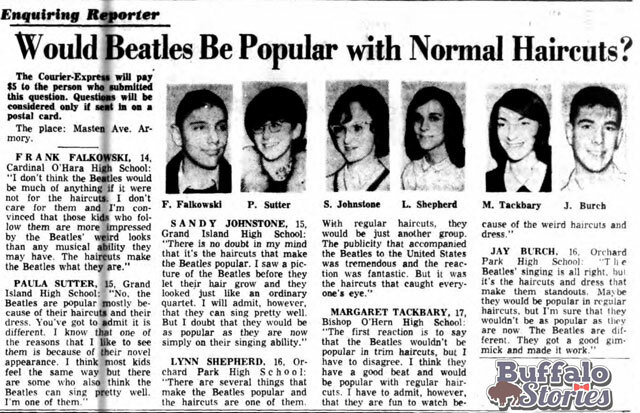 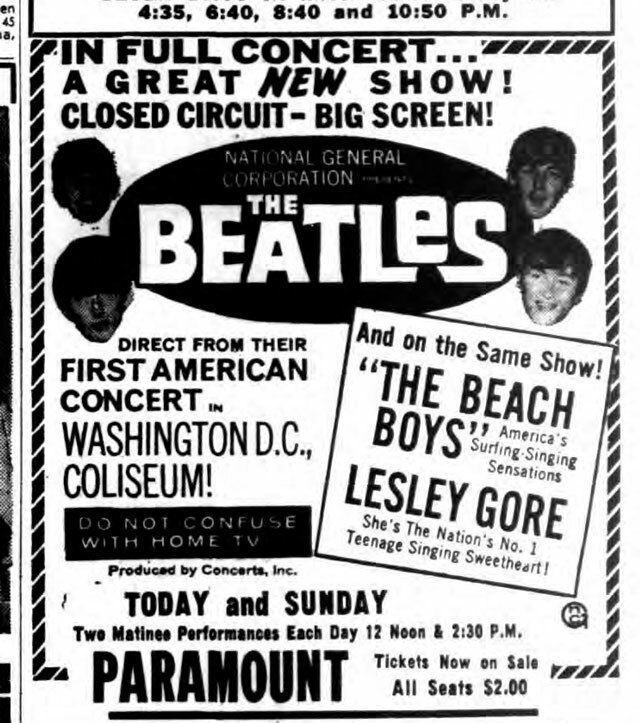 early 1970s. 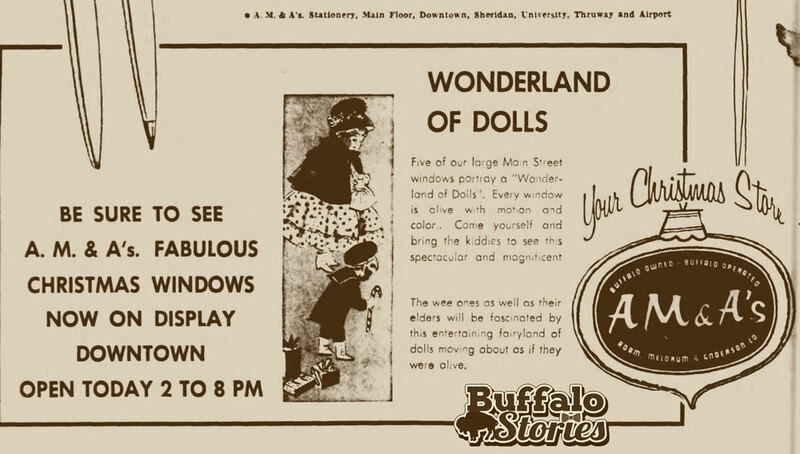 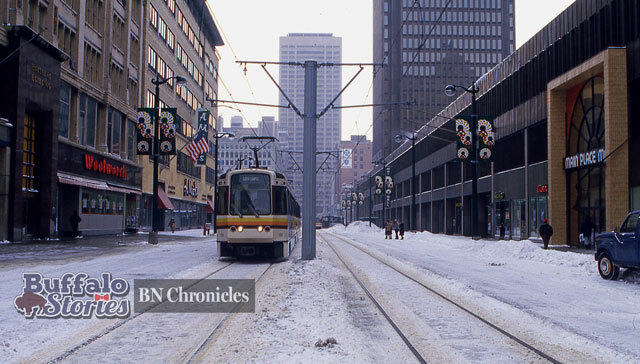 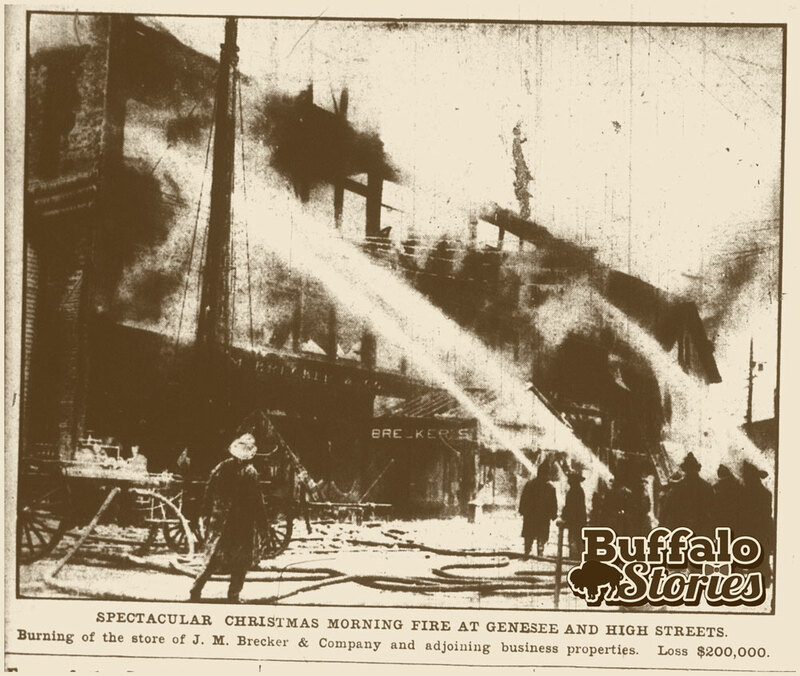 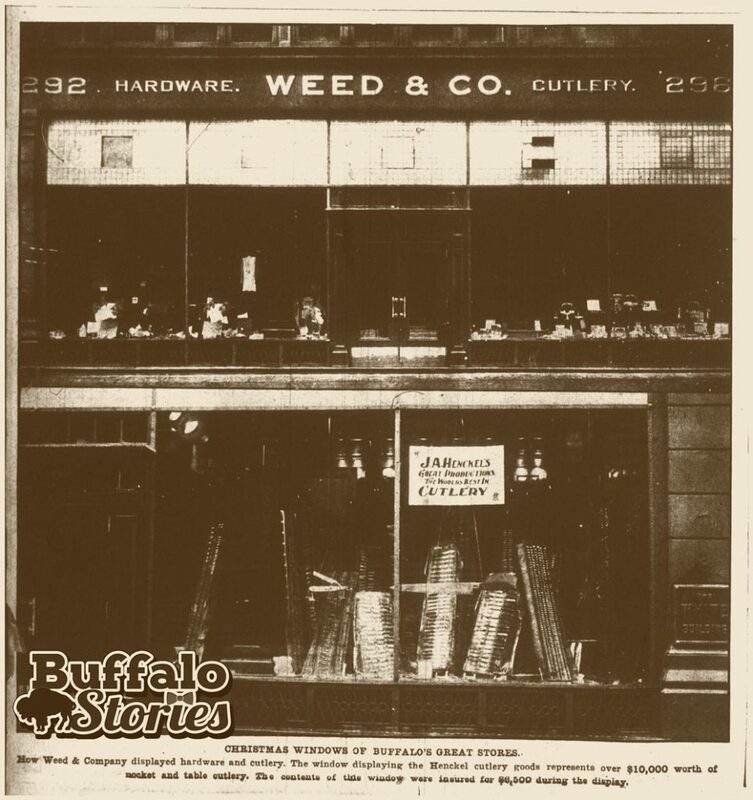 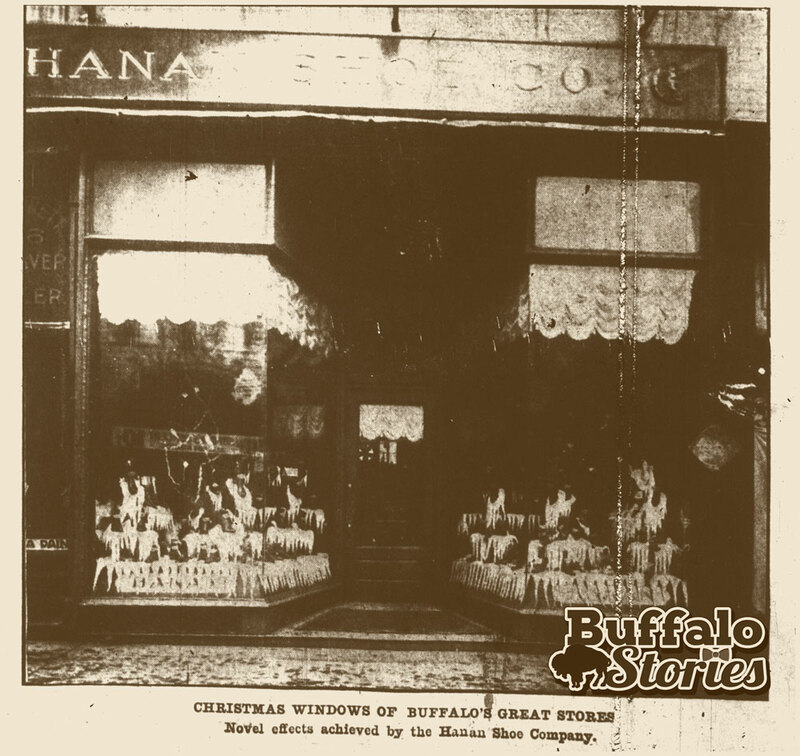 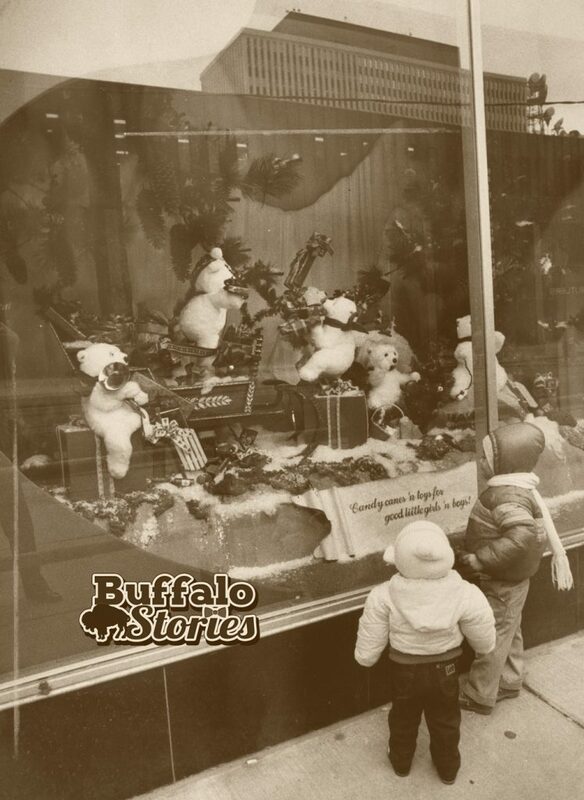 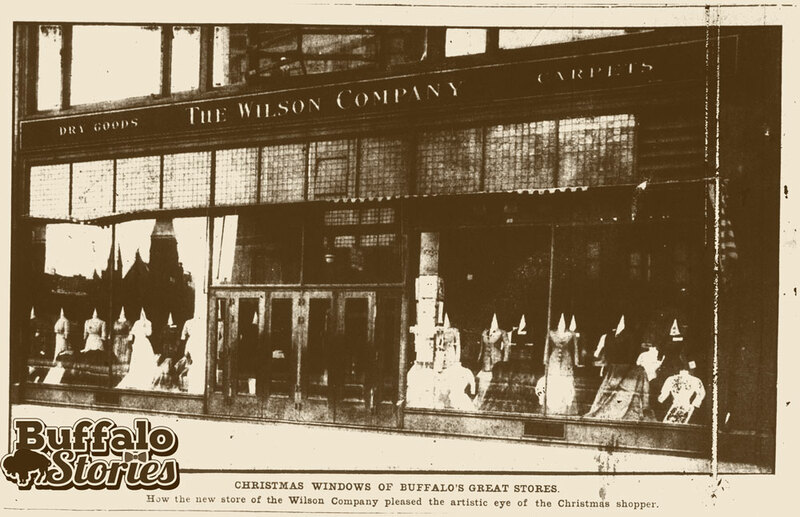 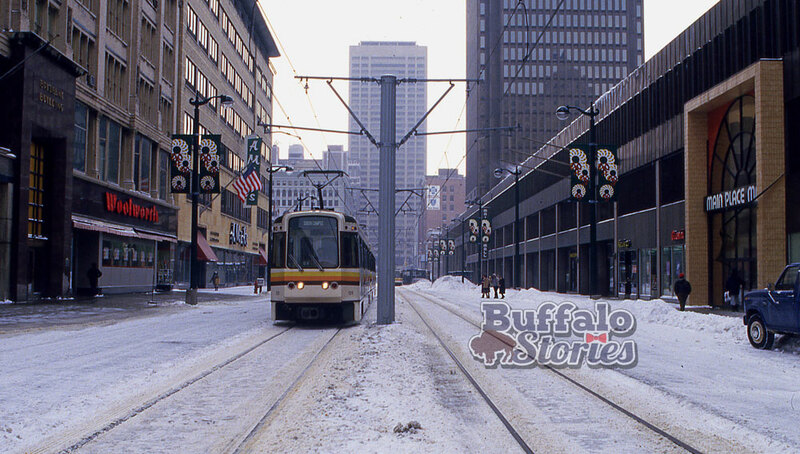 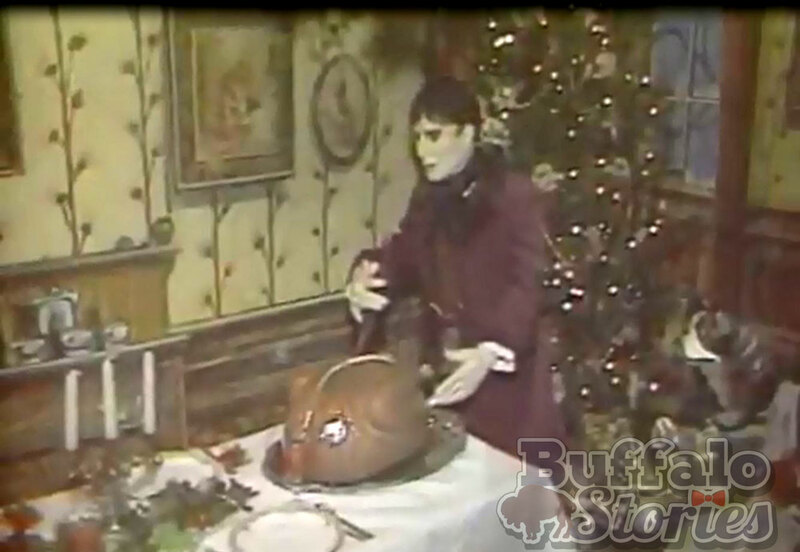 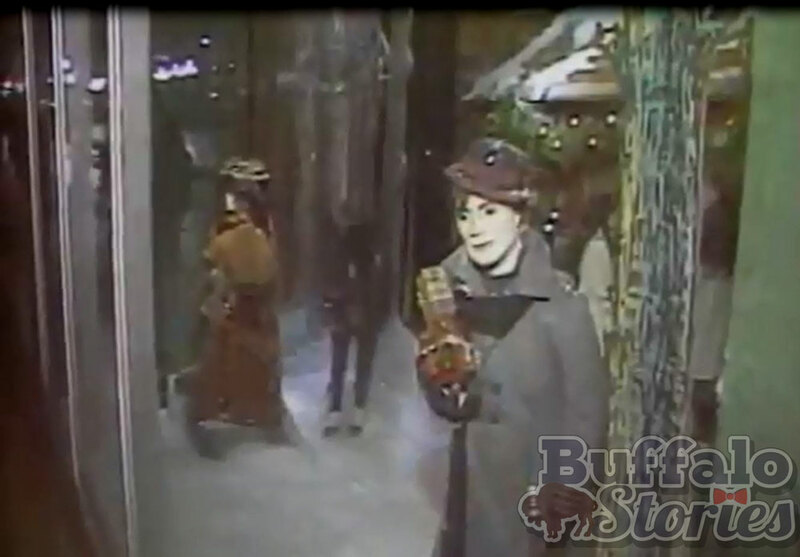 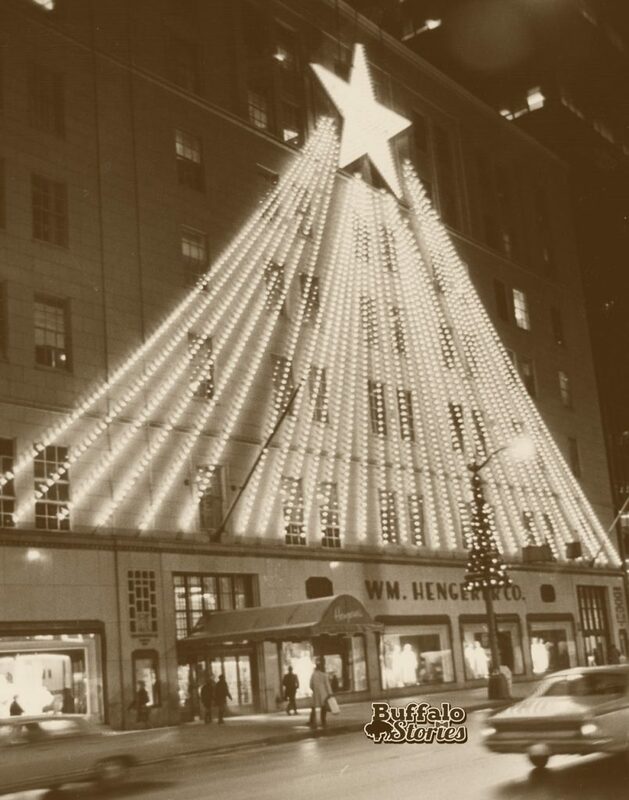 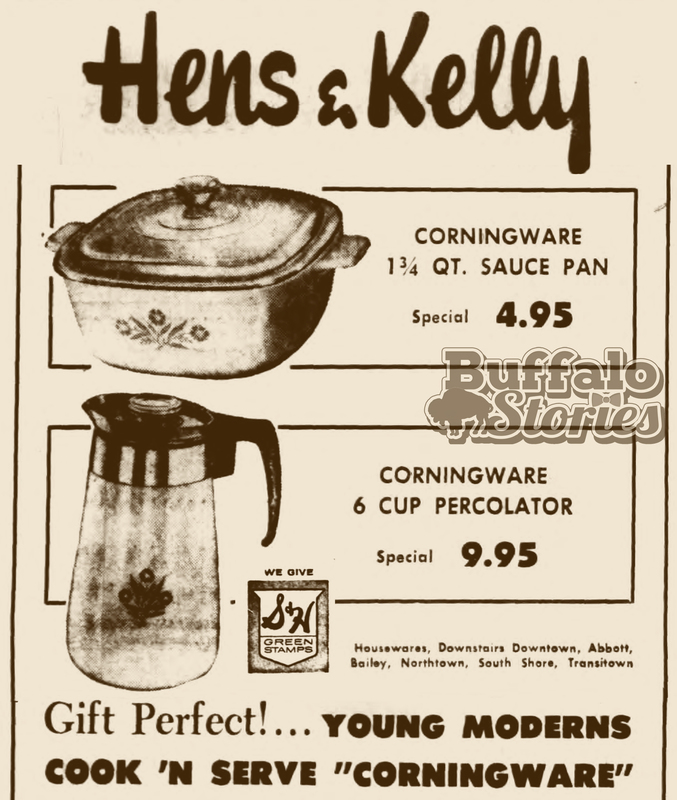 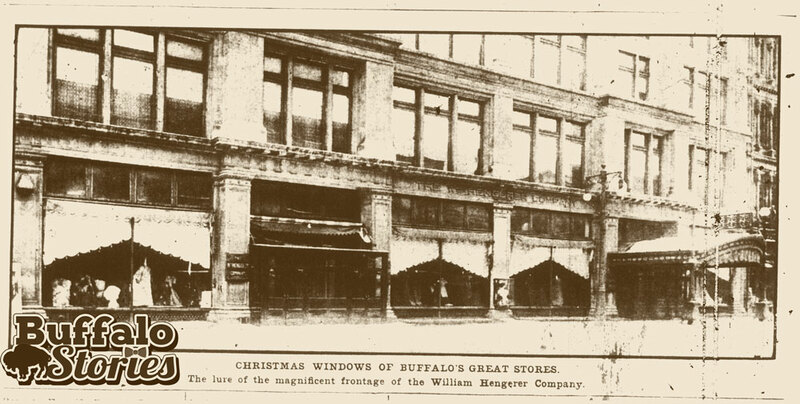 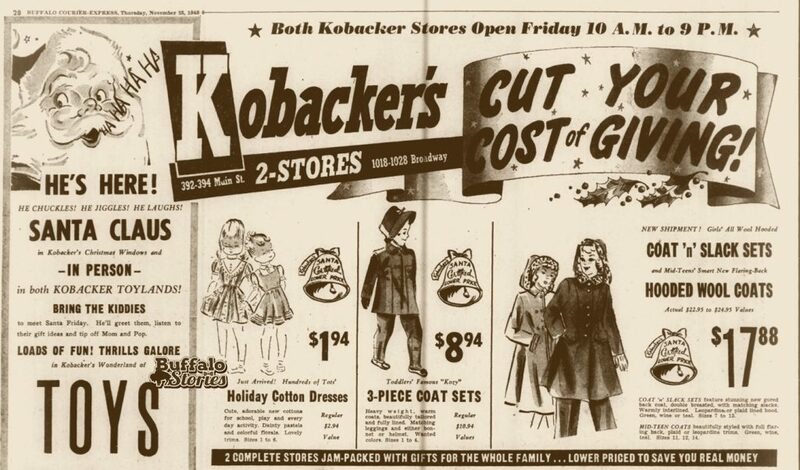 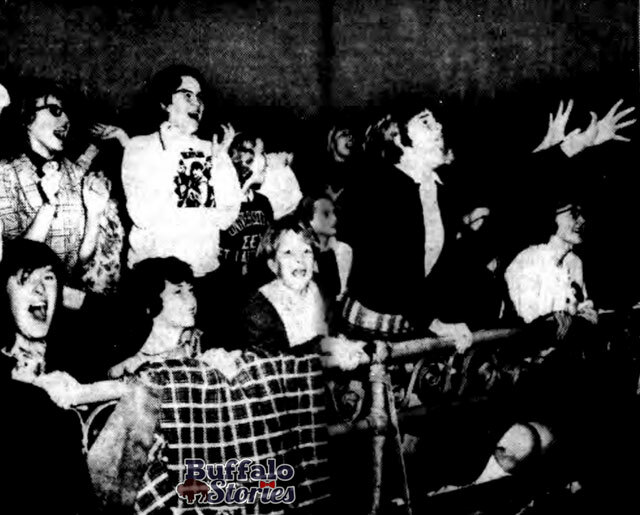 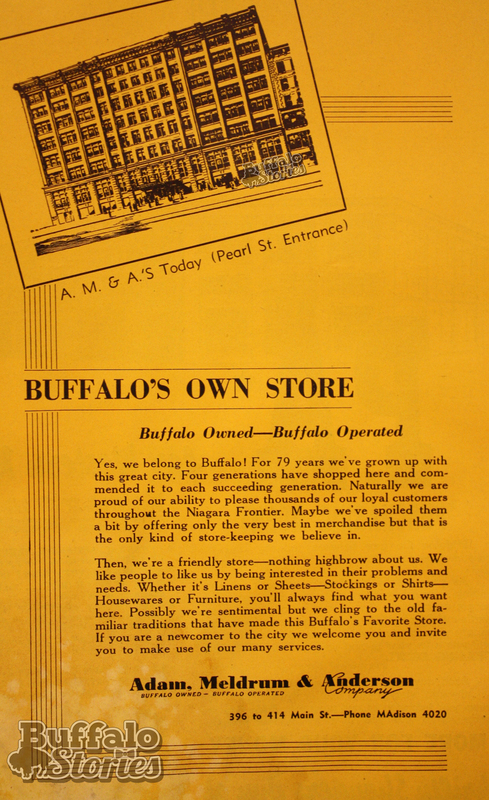 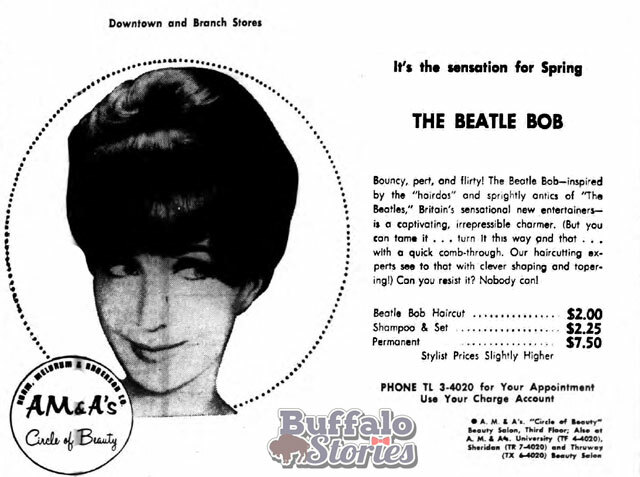 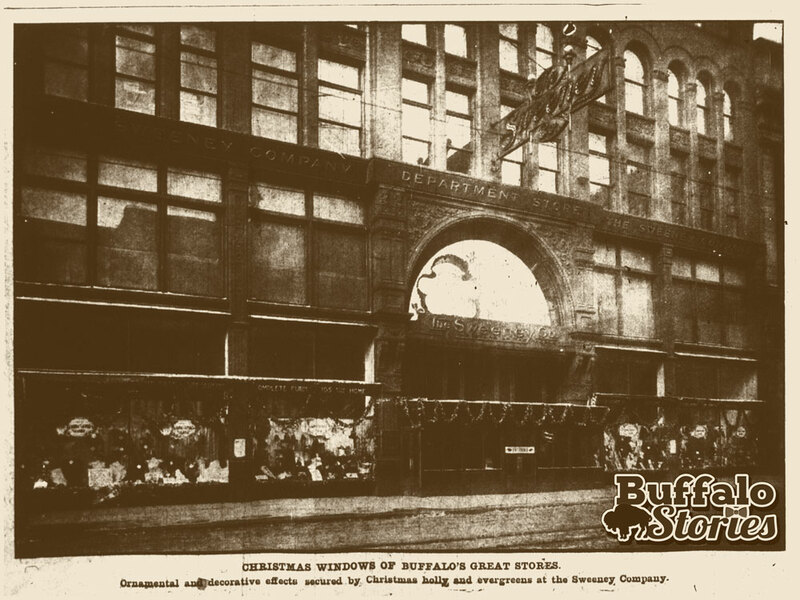 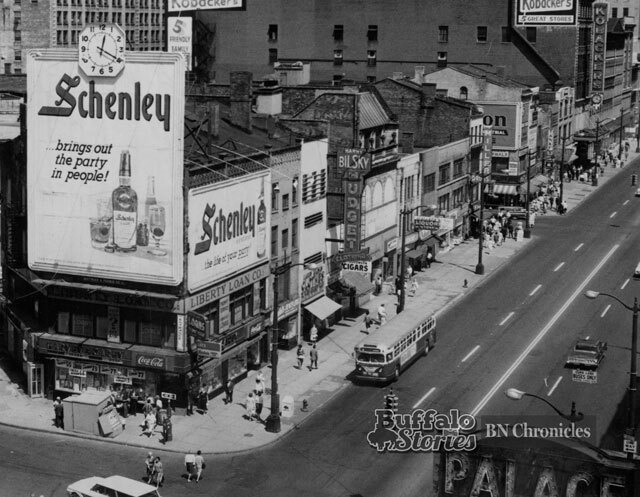 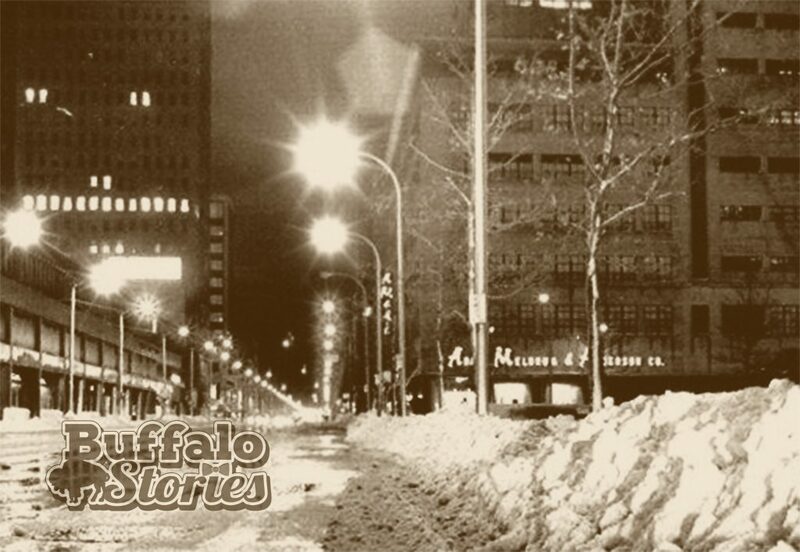 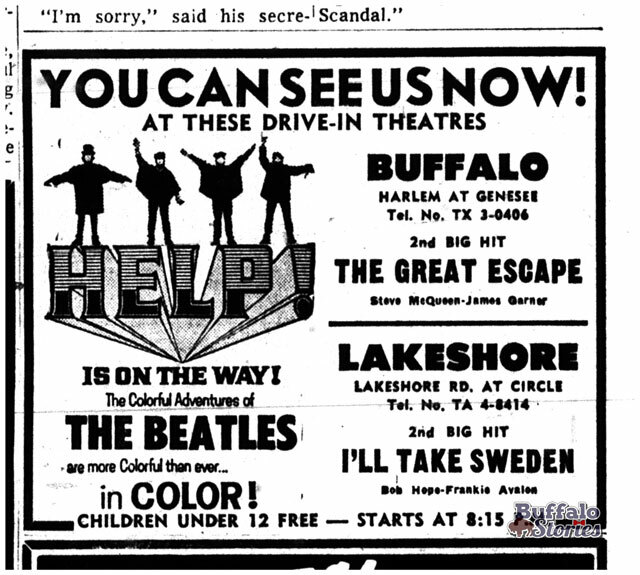 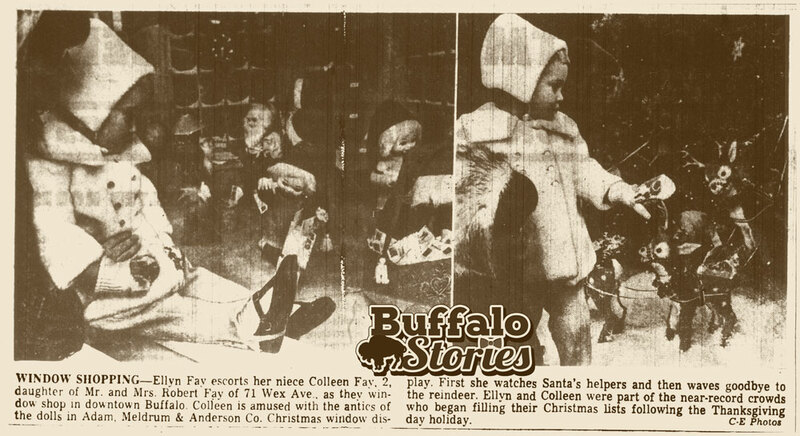 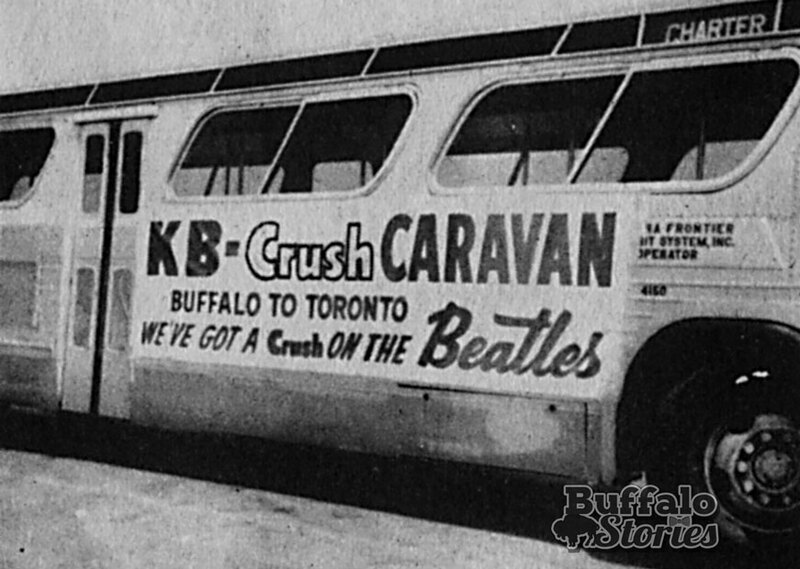 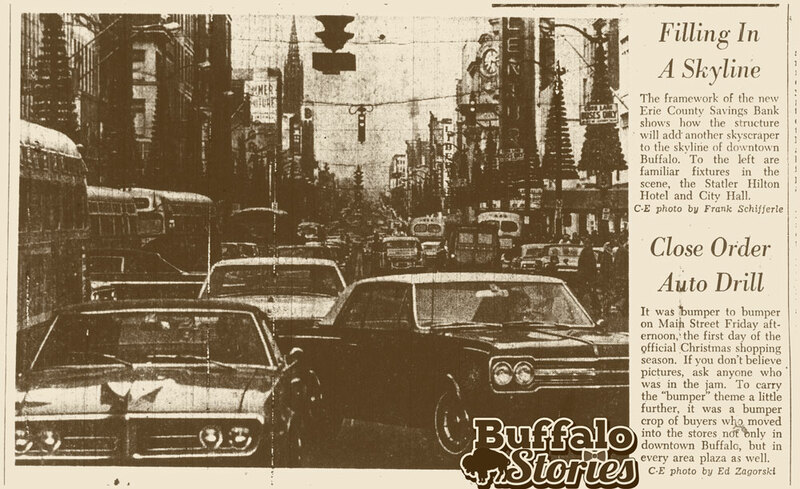 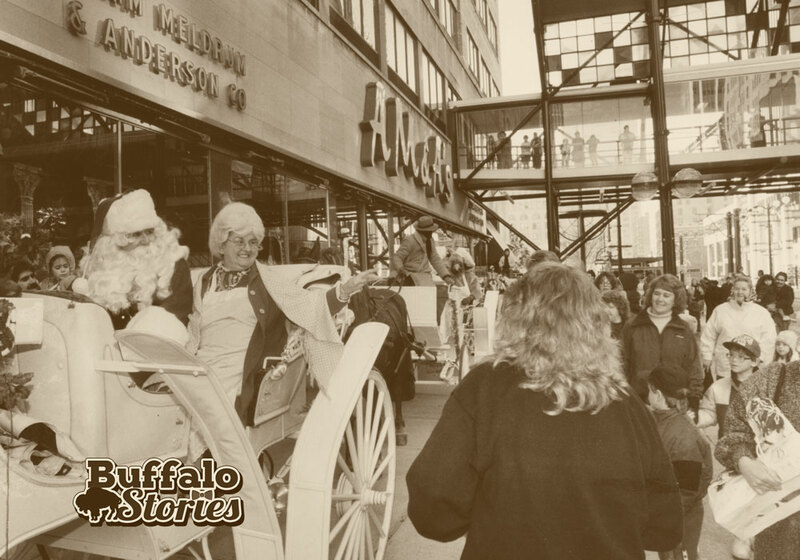 Locally owned and operated from 1867 to 1994, more than just a place to shop, it was a Buffalo institution. 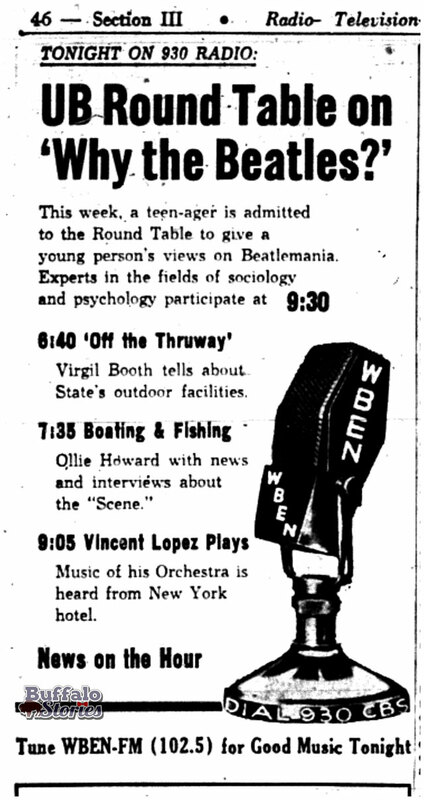 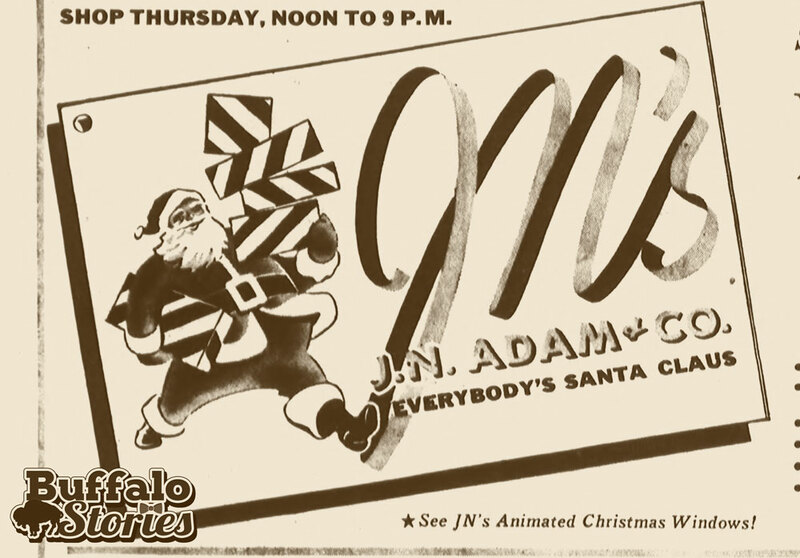 logo from a 1980 ad. 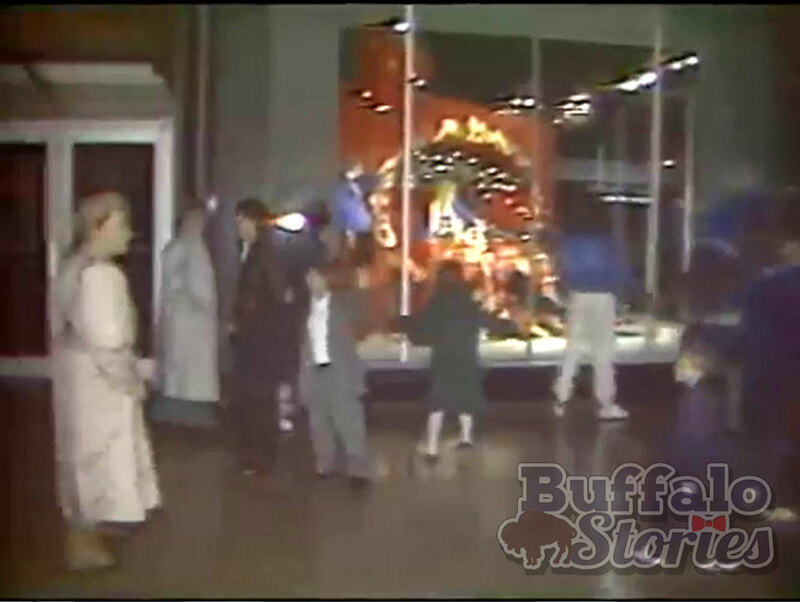 The opening of the Walden Galleria in 1989 was the death knell for all remaining locally owned department stores. 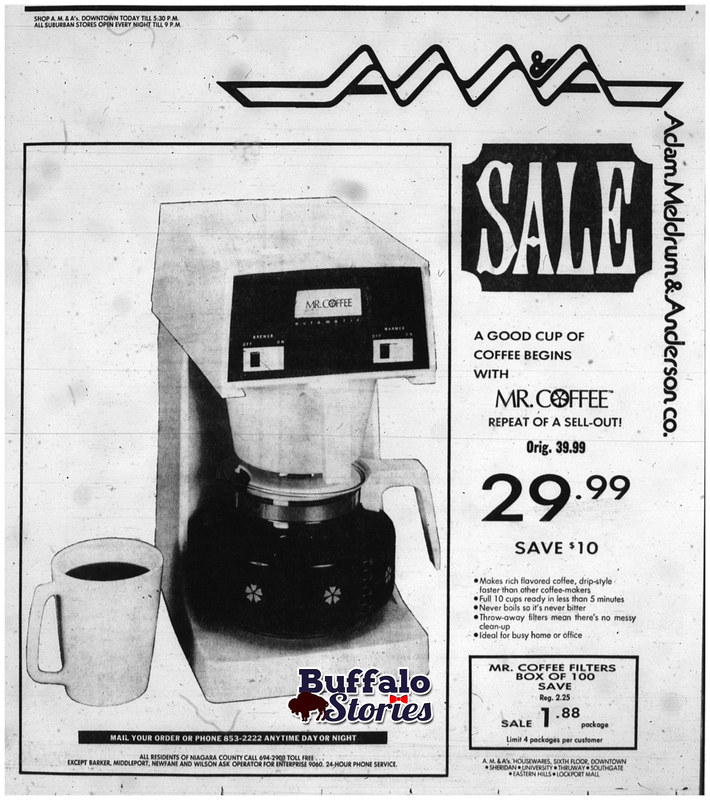 Starting in the mid-1970s and lasting through the early 1980s, the store’s italicized green-lettered corporate logo was augmented with an ultra-modern swooshy AM&A’s first in an electric green and blue, then in a more subdued dark blue and red. 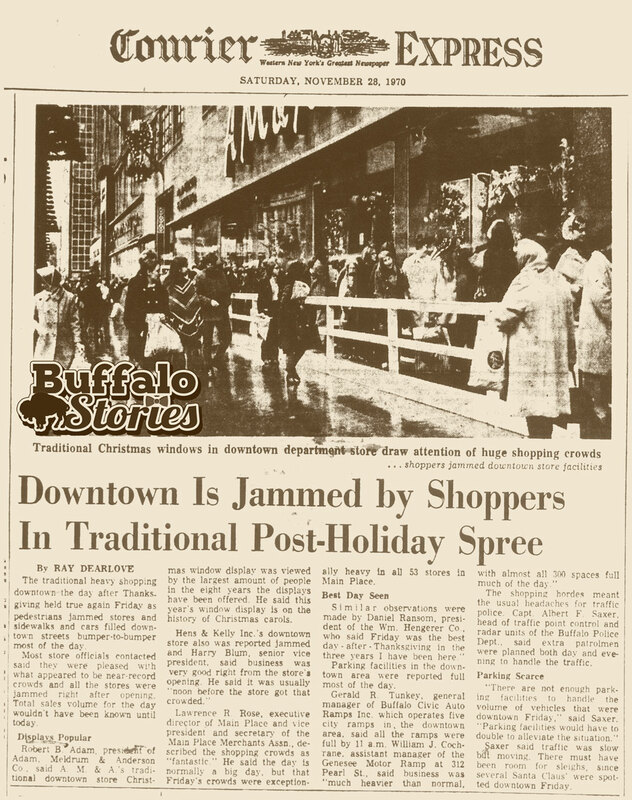 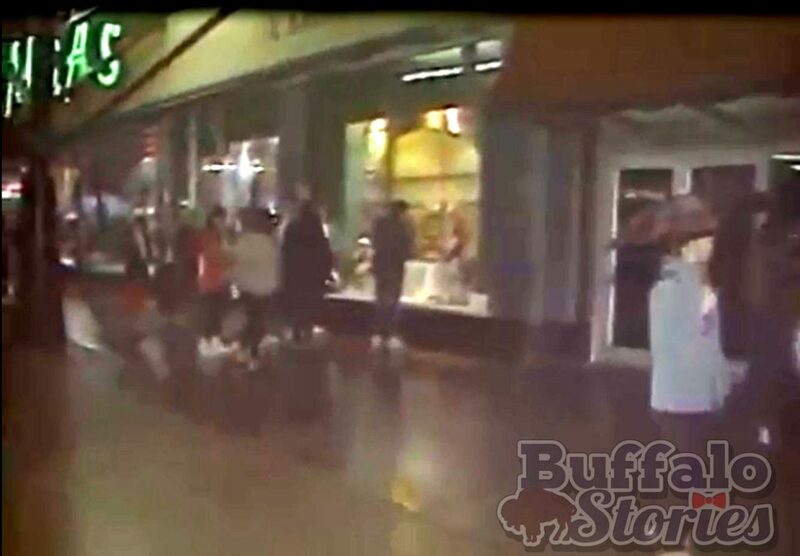 In 1995, only months after AM&A’s sold its operations to Bon-Ton, the York, PA based department store announced the closure of the Main Street downtown location which had been hemorrhaging money for quite some time. 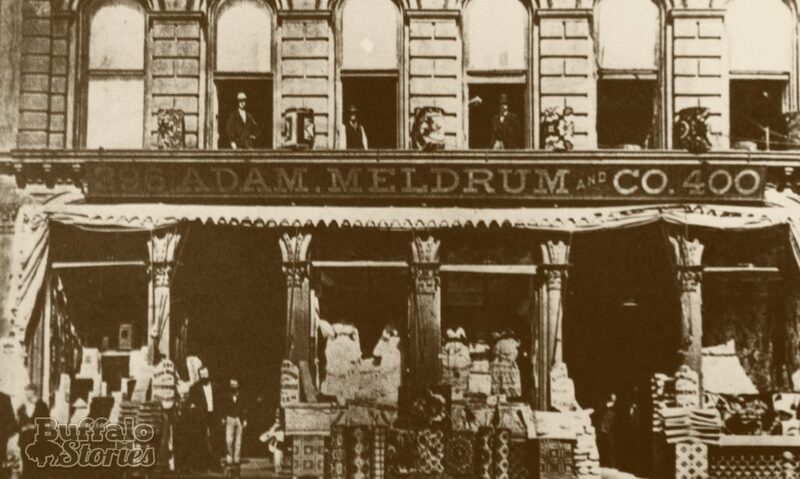 Robert Adam, outside his beloved family store. 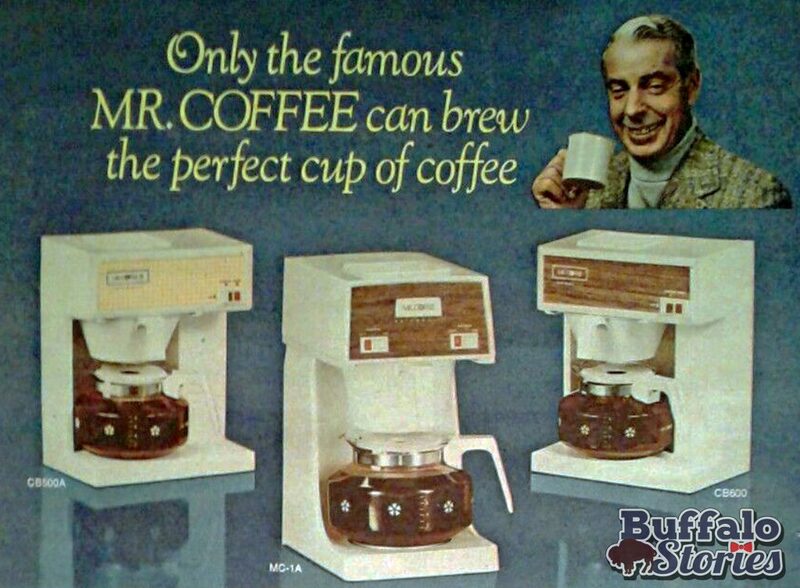 It was sold and closed shortly after his death. 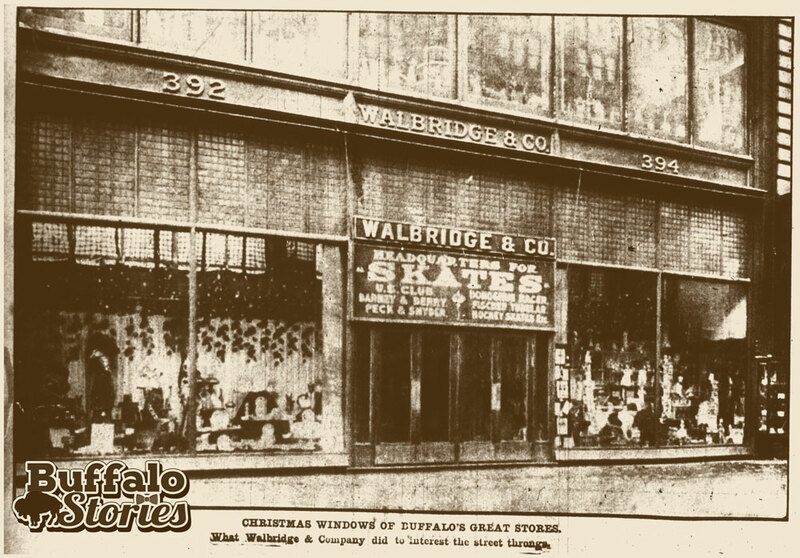 More than 300 jobs were lost with the closure of the store as well as the warehouse behind the store across Washington Street. 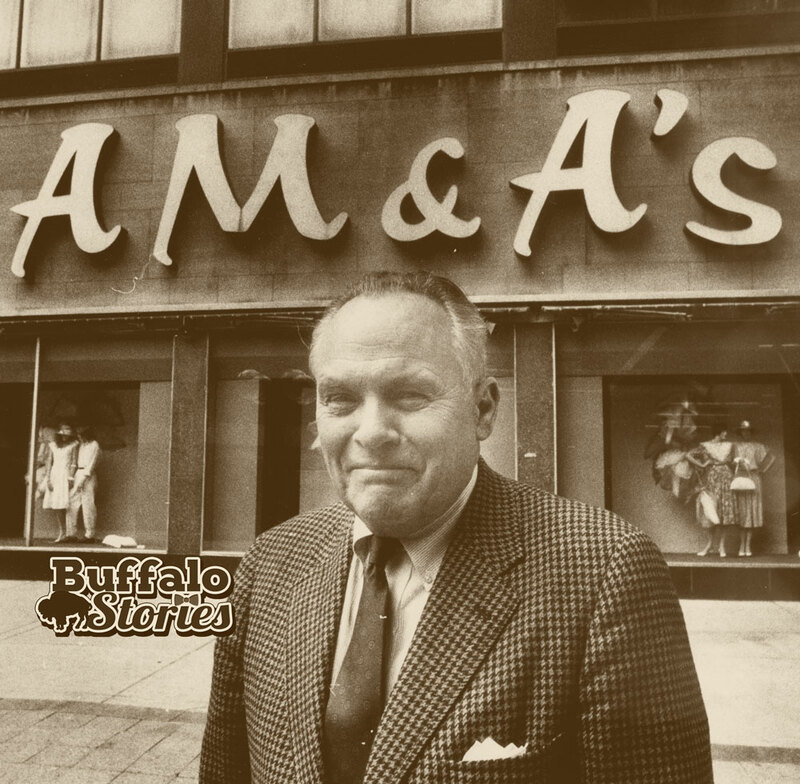 We’re in the final chapters of AM&A’s history now, with the Bon-Ton’s never ending going out of business sales in several of AM&A’s former locations. 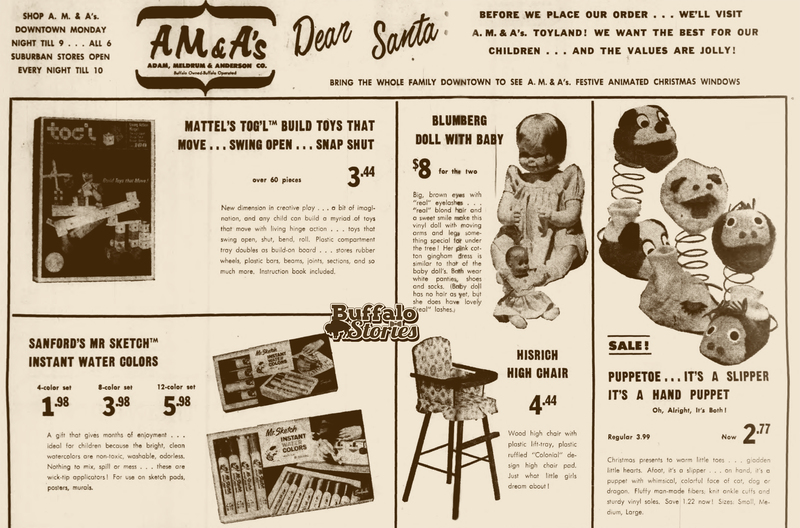 1946 ad shows the original AM&A’s location (1867-1960) in the spot where Main Place Mall now stands. 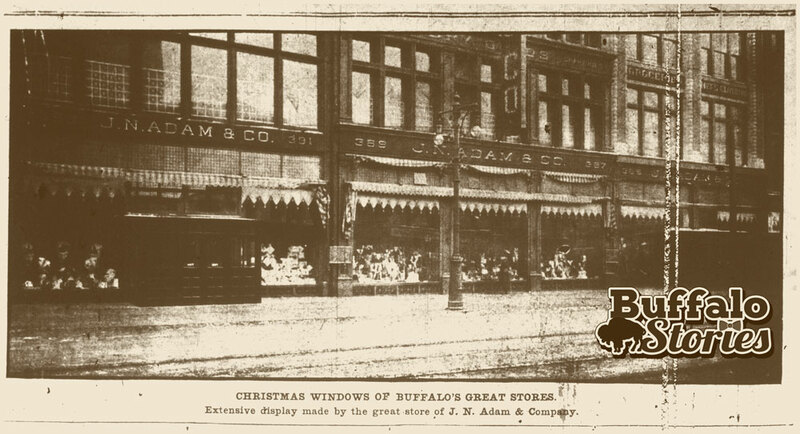 AM&A’s moved into the JN Adam store when JN’s closed. 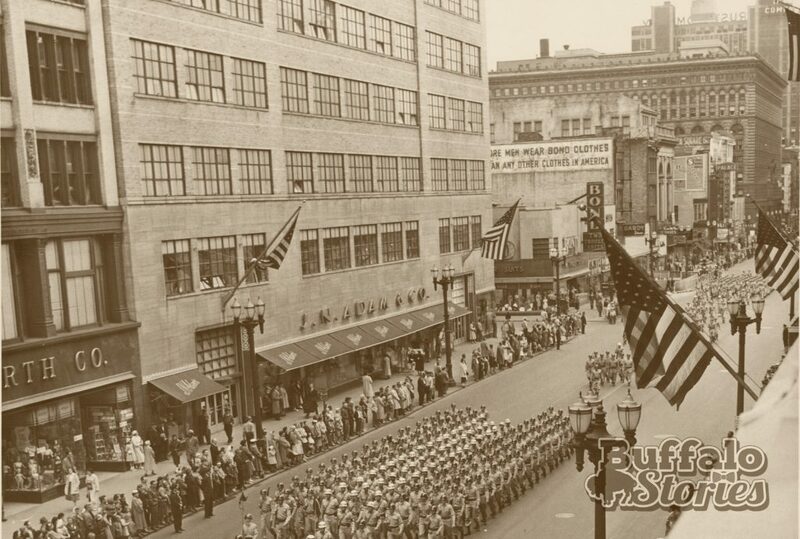 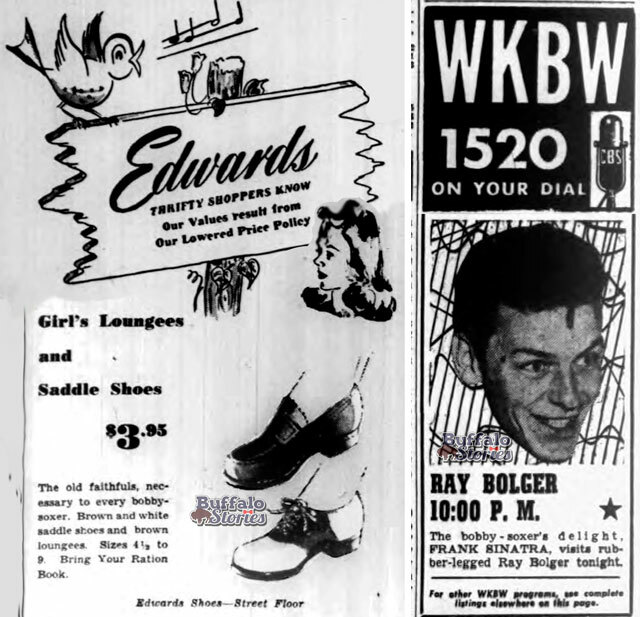 Roy Peller and Paul Mure worked at Kleinhans Men’s Store when they decided to open their own haberdashery a few blocks away on Court Street in 1948. 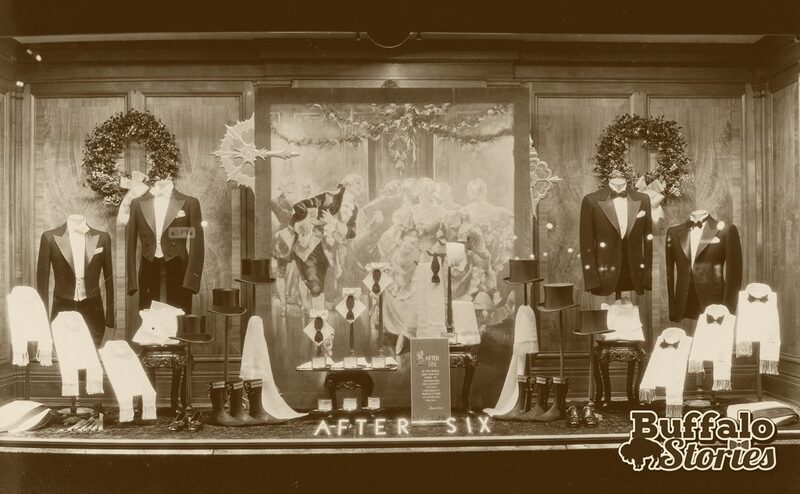 Peller & Mure became one of downtown’s great men’s stores, outfitting mayors from Frank Sedita to Jimmy Griffin. 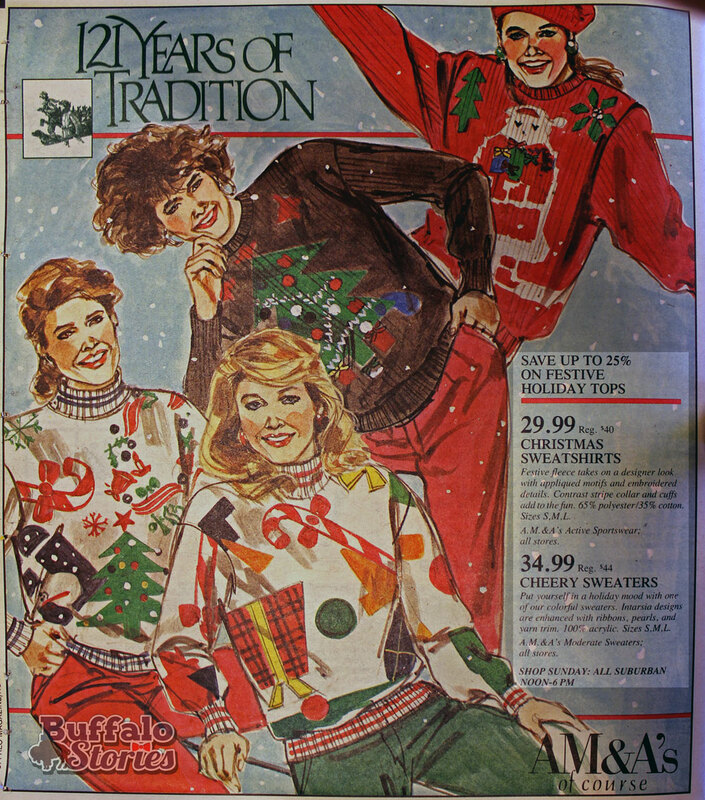 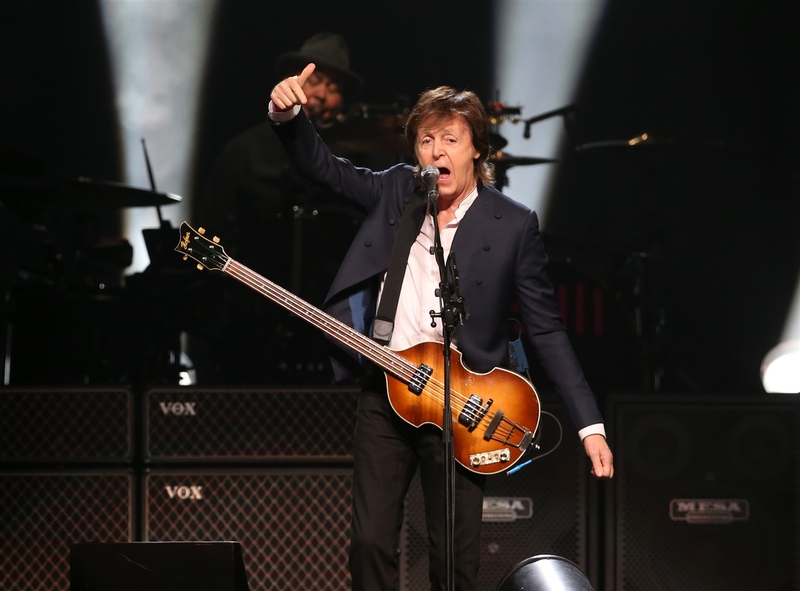 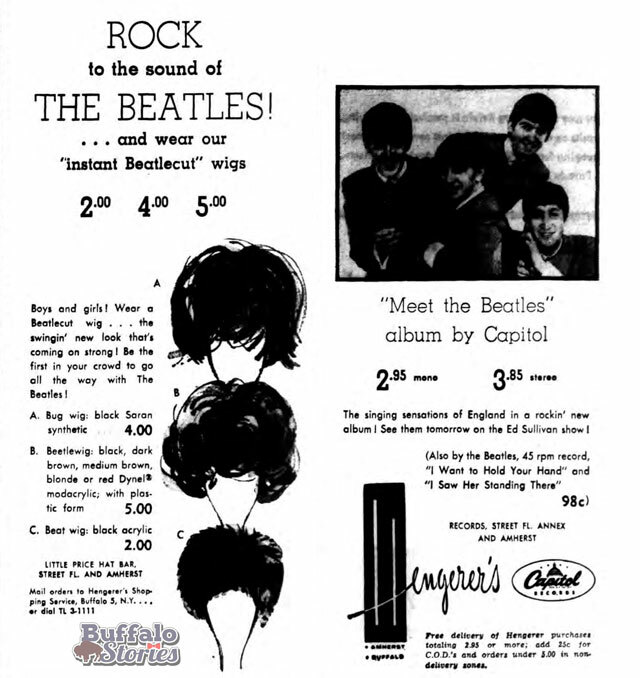 Their offerings expanded to include a women’s business line in 1981. 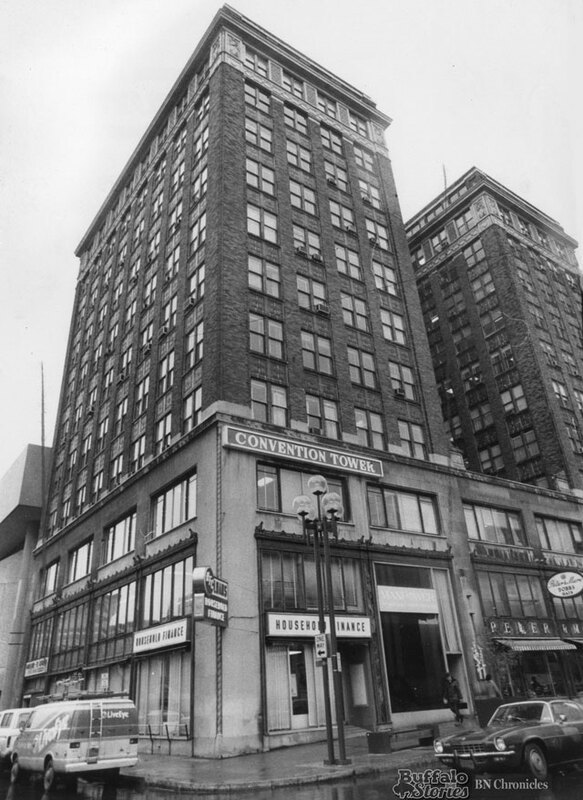 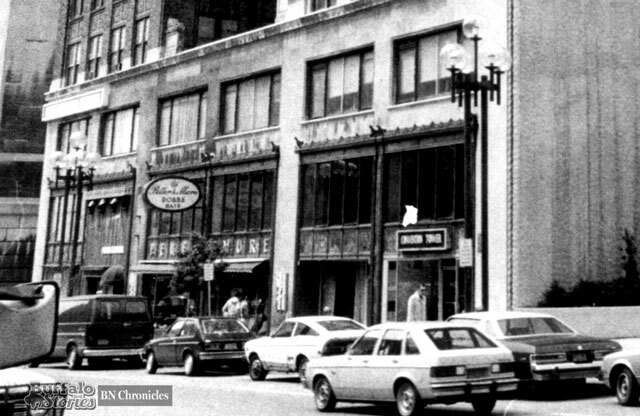 Over five decades, P & M’s retail space was in several locations through the years, including two on Court Street, as well as Delaware Avenue and Pearl Street. 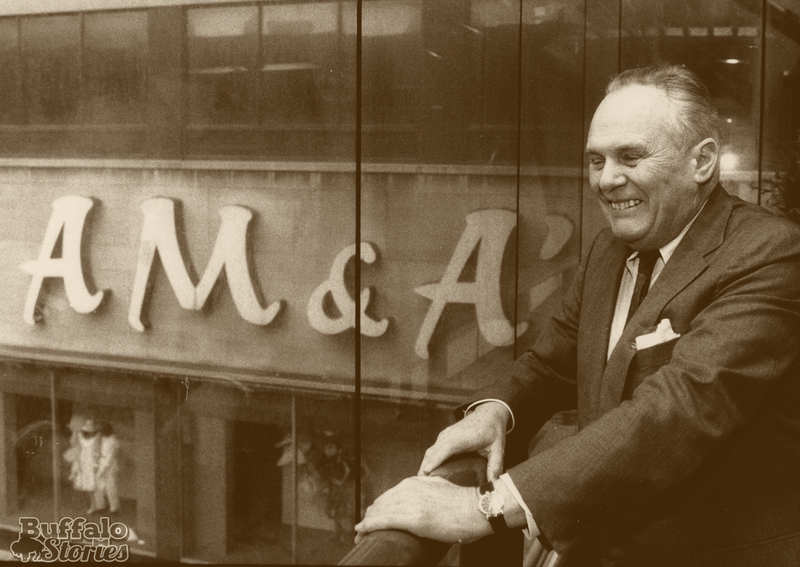 Investors took over the upscale clothier in 1995 and gave a fight, but after 51 years, Peller & Mure closed its doors in early 2000. 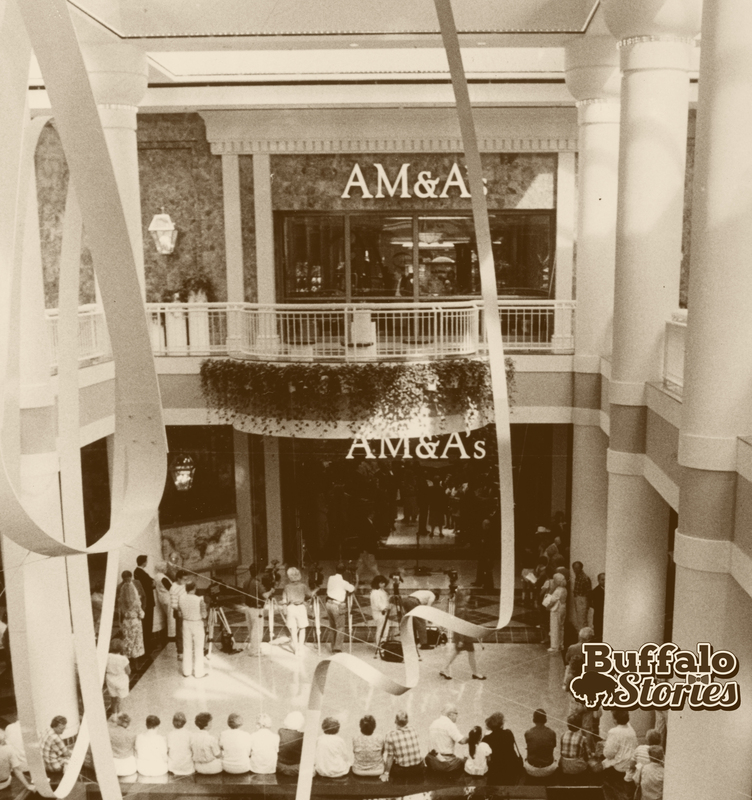 AM&A’s was right around the corner on Main Street, until it moved across Main in 1960.